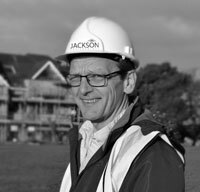 Established in 1991, Jackson Developments is a family run business that has been building homes in Dorset and Hampshire for almost 25 years. In partnership with Fairhome Limited, the company has built its reputation on attention to detail and a personal, hands on approach to every building project. The company has focused on the changing needs of the local market, and has built a range of homes from flats and houses for first time buyers, gated developments, family homes, south coast clifftop apartments and luxury multi-million pound apartments. Based in Poole, the majority of developments have been in Dorset and parts of Hampshire. Many of our properties are in stunning locations, chosen specifically to offer a unique lifestyle with access to local amenities, often with sea views and beach access. All our homes are built with high quality fixtures and fittings, provided by companies we have been working with for many years. Naturally, a comprehensive homeowner manual and a 10 year structural warranty come with each property. The Directors of the company pay particular attention to detail and offer a personal after care service which is highly regarded by our clients. Customer care is paramount and all our homes are rigorously checked before occupation to ensure each property meets the exact specification. From your first contact with us to moving into your home you can rely on a first class service with a personal touch. Why consider buying a new home from us?